Flying Eagles match against Amajita ends in goalless draw in under-twenty AFCON – Royal Times of Nigeria. 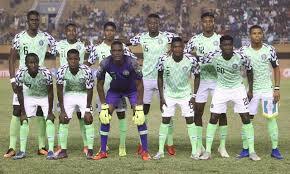 Nigeria’s Flying Eagles were held to a goalless draw by the Amajita of South Africa in their second Group A game on Tuesday at the ongoing 2019 Under-twenty Africa Cup of Nations. The result leaves Group A wide open. Nigeria’s Flying were the only side that had chance of qualifying for the Semi-finals with a win on matchday-two. Despite the draw, the seven time winners of the competition remain top of group A with four points from two games while South Africa are second with two points from the same number of games. Nigeria will face hosts, Niger in their final group game on Friday while South Africa will battle Burundi also on Friday.